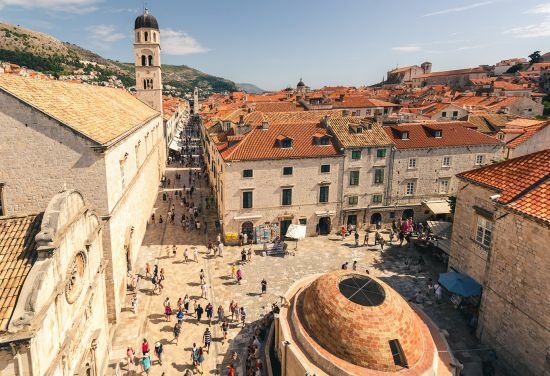 There is no doubt that Game of Thrones has cast a spotlight on Dubrovnik, otherwise known as the “pearl of the Adriatic”. Once an underrated gem, there are now countless visitors to the stunning port every year. However, don’t let the crowds deter you from exploring the magnificent walled city, dating back to the 14th century. While you will not find dragons or direwolves here, you will discover plenty of intrigue to ignite your imagination in this charming, old world town. 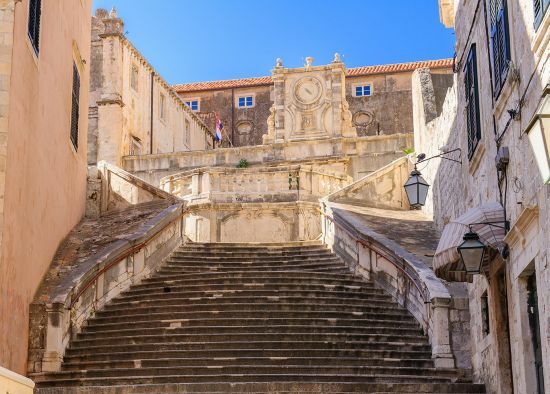 You can understand why Dubrovnik was made a UNESCO World Heritage site when you walk through the Old Town, featuring stunning Gothic, Baroque and Renaissance architecture, along with fountains and cobbled streets. The main and busiest street in the Old Town is where you will find many quaint cafés and bistros, including D’vino wine bar, which offers all day wine tastings for those looking to sample some Croatian wine. The elegant baroque Jesuit Staircase leads to the Church of St. Ignatius of Loyola and 17th-century Jesuit College. These steps were famously used in Game of Thrones as the location for the Great Sept of Baleor in King’s Landing. Built at the end of the 14th century, this is the main access point to the Old Town from the east side and consists of an inner and outer section. Originally, the bridge between the two was wooden and lifted each evening to prevent any unwelcome visitors. Nowadays, the bridge is made of stone and features as the Red Keep Gate in Game of Thrones. The city walls are built entirely around the Old Town and they are truly a sight to behold. Building originally began in the 13th century, but the walls continued to be extended right up until the 1700s. They are considered one of the greatest and most impressive fortification systems of the Middle Ages. The Bokar (or Zvjezdan) Fortress was the key point in defence of Pile Gate, the western entrance to the city. The fort visitors see today was completed in 1570 and again, this section makes up part of the King’s Landing walls throughout the Game of Thrones series. If you have time before your ship departs, take a short ferry ride from Dubrovnik’s Old Harbour over to Lokrum Island. 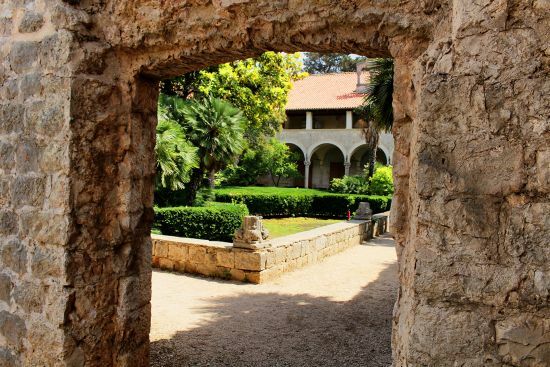 The beautifully forested spot is great for swimming and there’s also a botanical garden within the Benedictine monastery featuring palms from South Africa and Brazil for the garden-enthusiasts among you. One of the most Instagrammed sites is the island’s reproduction of the Iron Throne.